Perhaps the most stressful single aspect of the stressful process that is moving overseas is getting your visa (and visas for any members of your family accompanying you). It’s a Kafka-esque hellscape of conflicting information, uncertainty, no communication, and little indication of where you can get any answers from. Good times! The website you’re going to be dealing with a lot is the UK Border Agency. You might think you’ll be able to go there for answers and guidance. You’d be wrong. This is perhaps one of the worst, most confusing, most frustrating websites I’ve ever tried to navigate. Almost every time you try to get a straight answer and think you’re going to the place where that answer is, you get punk’d. This website almost made me cry on several occasions. No wonder people sometimes hire specialists to do all this for them. If you’re coming over here to work, you’re probably going for a Tier 2 visa. To get said visa, you’re going to need a Certificate of Sponsorship (COS) from your employer plus at least £900 in the bank (plus extra, if you have any dependents coming with you). You also need to provide a boatload of personal information and pay a pretty hefty sum ($700 per application, when we applied. And you have to pay that all over again if your application gets rejected). Once you have your COS, get cracking. According to the Border Agency, it can take up to three months for a visa to be approved and issued (don’t panic–most take far less time than that, unless there are some strange complications), so you’ll want to get on that. Here’s the catch: you can’t apply for a visa more than three months before your travel date, and you have to have a firm travel date when you apply. And yet, the Border Agency tells you not to make firm travel plans until the visa has been issued. See what I mean about conflicting information? In most countries, including the US, you can apply online at visa4uk.com (yes, it is official). Make sure you have a chunk of time set aside for this, because it’s a fairly lengthy application, and also be sure to have access to a working printer and all your relevant information (which includes bank details and your parents’ dates and places of birth). Fill out the application, pay your hefty fee, print everything out, and make an appointment for your biometrics. This usually takes place at an immigration center in your state’s capitol. When you go to get your biometrics taken, bring along your passport and a printout of your appointment. Ladies, don’t bring a purse–you can’t take them into the immigration centers. At the center, they’ll stamp your appointment sheet, take a picture of you, and take your fingerprints electronically. Make sure you’re super relaxed for the fingerprinting or they’ll yell at you for moving or pressing too hard. Hang onto that appointment sheet too, because you’ll need to send it in with your completed application. Somewhere in here, you’ll also need to get a passport photo and swing by your bank and have them print up, sign, and stamp three months’ worth of statements to prove that you’re not broke. Now you get to send off your application. Send it, along with your passport, relevant accompanying documents (a marriage certificate, in my case, since I was going over as my husband’s dependent), and your biometrics appointment sheet. If you’re in the US, you’ll probably be sending all this off to the UK consulate in New York City. Make sure you can track it so you ensure it gets there safely. Once it arrives, one of two things will happen: they’ll send you an e-mail telling you your application has arrived (which usually comes about a day after it’s delivered) or they’ll wait and send you an e-mail telling you your application is being reviewed (which happens up to a week later). If you don’t get the first e-mail, don’t panic. My husband got it, but I didn’t, so I got all anxious thinking my application had gone missing or something. I got the second one; he didn’t. Strange, I know. When we were applying, they were moving through these things pretty fast. Within a day or two of each of us receiving our e-mails, we got word we’d been approved. Hurrah! 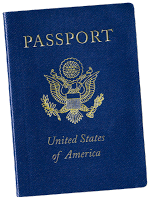 Your passport with the visa in it will then be overnighted back to you. For those applying for visas as Tier 2 dependents, there’s a bit of a catch: you have to wait for your partner’s/parent’s visa to arrive before you can apply, because you need to include a scan of their visa in your own application. So, your timeline’s even shorter. Luckily for us, my husband was going over a month earlier than I was, so I had a bit of wiggle room, but if you’re planning on traveling together, things might be a bit tight. If you’re having trouble with your visa, you have to contact a company called WorldBridge, not the Border Agency. You can call WorldBridge, but that call costs $3 per minute, so I advise using their e-mail inquiry service first. In all likelihood, the only answers you’ll get are fairly rote copy, but you never know, you might get lucky. They can’t provide any information on pending applications, of course. They can provide you with info on how to get your passport and other documents back in a hurry, if you decide to just cancel your visa application and try again later. So that’s it, the visa application process, somewhat broken down. I hope it helps at least some of you out there avoid pulling your hair out like I did. Best of luck to you all!